Wesleyan University Press, 9780819567130, 285pp. Since the 1965 publication of her first book, Dream Barker, selected for the Yale Younger Poets Award, Jean Valentine has published eight collections of poetry to critical acclaim. Spare and intensely-felt, Valentine's poems present experience as only imperfectly graspable. This volume gathers together all of Valentine's published poems and includes a new collection, "Door in the Mountain." Valentine's poetry is as recognizable as the slant truth of a dream. She is a brave, unshirking poet who speaks with fire on the great subjects--love, and death, and the soul. Her images--strange, canny visions of the unknown self--clang with the authenticity of real experience. This is an urgent art that wants to heal what it touches, a poetry that wants to tell, intimately, the whole life. JEAN VALENTINE won the Yale Younger Poets Award for her first book, Dream Barker, in 1965. 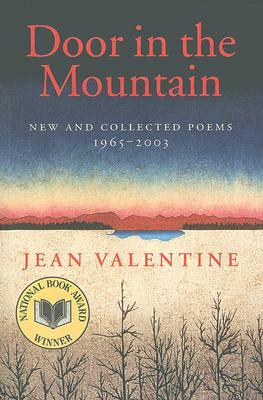 Author of seven other books of poetry, including most recently Growing Darkness, Growing Light (1997) and The River at Wolf (1992), she has taught at Sarah Lawrence College, the Graduate Writing Program at NYU, and the 92nd Street Y. Valentine received the Shelley Memorial Prize from the Poetry Society of America in 2000 and the 2006 Morton Dauwen Zabel Award given by the American of Letters to a progressive, original, and experimental writer.